Ezekiel's vision took place at the Chebar Canal, which runs into the River Euphrates. The main concentration camp of the Armenian Genocide was established at the confluence here in the modern Deir-ez-Zor district. 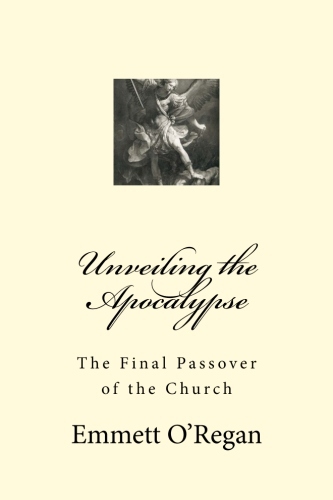 As I argue at considerable length in my book Unveiling the Apocalypse: The Final Passover of the Church, there is a wealth of evidence to suggest that Pope Leo XIII personally believed that his prophetic vision was concerned with the Millennium of Rev 20. Pope Leo XIII's vision, which he witnessed around the year 1886, was chiefly concerned with the imminent arrival of a period in which Satan would be granted greater power. A prophetic experience which proved only too real with the unfolding of the wars and genocides throughout the course of the 20th century. So the appearance of the Sign of Jonah and the binding of the "strong man" (which took place during Christ's sacrificial death on the Cross and His descent into Hades on Holy Saturday), are very closely associated events. St. Augustine of Hippo taught that Satan was bound by Christ in order to allow the spread of the Gospel to the ends of the earth, which had allowed Christianity to become the world's largest religion. However, he also expected the Devil to be unleashed upon the world once again at the end of the "thousand years", during which time Christianity would suffer serious repression leading to an age of apostasy. St. Augustine equated the "thousand years" of Rev 20 with the Sabbath Millennium discussed by the Early Church Fathers. A week of millennia which would last from the biblical date of creation right up to the end-time itself. The Early Church Fathers had calculated this period from the Greek text of the Bible to end around the year 500AD; but as I note in my book, this period can be accurately dated to around the turn of the 20th century, once we take into account St. Bede the Venerable's recalibration of the chronology of the Bible, which he did by using the original Hebrew text. “You are worthy to take the scroll and to open its seals because you were slain, and with your blood you purchased for God persons from every tribe and language and people and nation. I watched as the Lamb opened the first of the seven seals. Then I heard one of the four living creatures say in a voice like thunder, “Come!” I looked, and there before me was a white horse! Its rider held a bow, and he was given a crown, and he rode out as a conqueror bent on conquest. When the Lamb opened the second seal, I heard the second living creature say, “Come!” Then another horse came out, a fiery red one. Its rider was given power to take peace from the earth and to make people kill each other. To him was given a large sword. Many theologians have identified the Chebar Canal with the River Khabur in the Deir-ez-Zor district in modern Syria, which became the site of the largest concentration camp during the Armenian Genocide, which was perpetrated at the very start of the First World War in April 1915. Between 1915-1923, an estimated 1.5 million Armenians were exterminated by the Turkish government, providing a future template which their close allies the Germans would use to implement the Jewish Holocaust. The key architects of the infrastructure used to exterminate the Jews during the Second World War had witnessed the Armenian Genocide first hand, and directly lifted the systematic slaughter devised by the Turks to annihilate a third of the world's total Jewish population. The Four Horsemen are released at an exact time which had been prepared for them, which I propose is one and the same as the period of the unbinding of Satan at the end of the Sabbath Millennium - which can be calculated from the text of the Hebrew Bible. 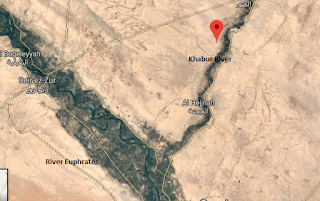 We are told that the four angels that are released in order to kill a third of the people are bound at the River Euphrates, which we know was the location of Ezekiel's vision of the Four Living Creatures at the Chebar Canal. And it is the Four Living Creatures who summon the Four Horsemen of the Apocalypse at the opening of the first four seals of the Apocalypse. It is no coincidence that the Wright Brothers had began to develop the first aircraft within a year of Pope Leo XIII's consecration of the world to the Sacred Heart of Jesus in 1899, which had paved the way for the world's first military airplane being developed in and around the same time as the Tunguska event of 1908 - which is the single most famous event of a star fallen to earth in recorded history. As I argue in my book, the invention of military aircraft is the most plausible explanation of the symbolism of the "apocalyptic locusts" which rise at the opening of the Abyss which takes place at the end of the Millennium of Rev 20. All of the above combined prophetic signs indicate that the end of the Sabbath Millennium discussed by the Early Church Fathers did indeed coincide with the vision of Pope Leo XIII and the short time of Satan described in Rev 20. As we shall discuss in more depth in the next post, the fact that Armenia was the world's first Christian kingdom ties in with the prophetic symbolism of the Kingdom of God as the kerygma of Jesus' ministry. The proclamation of coming of the Kingdom and Christ's casting out of unclean spirits was the ultimate sign of the binding of Satan and the inauguration of the millennial reign of Christ through the victory achieved at the Cross at Calvary. Just a few days after my last blog post concerning several questionable elements of the ministry of Fr. Joseph Iannuzzi, the superior general of the Oblates of St. Joseph (OSJ), Fr. Michele Piscopo, issued a letter to clarify that he actually does have permission for a leave of absence. This letter appeared on a website run by a group called the "3rd order of Benedictine Oblates of the Divine Will", which is basically a front for the Divine Will Movement. Fr. Piscopo's response to this revelation from Fr. Bronzini is rather a rather curious contradiction of the above communication received by Prof. Fastiggi, and shows that there are some mysterious goings on in the OSJ concerning Fr. Iannuzzi's problematic ministry. It is of course impossible to know what is going on behind the scenes here, but it seems likely that Fr. Iannuzzi was either only given permission in retrospect, or Fr. Bronzini was simply unaware that he was actually granted permission from Fr. Piscopo to leave the community. Either way, Fr. Bronzini's response to Prof. Fastiggi is rather telling that Fr. Iannuzzi is viewed as a major problem by the highest ranking members of the curia of his religious congregation. I have it on high authority that Fr. Iannuzzi is not currently on the directory of priests in the USA, so he is currently operating without faculties away from his religious congregation, and he basically answers to no one. This explains why he is promoting the works of Vassula Ryden with impunity, even though the CDF have issued a notification against her writings. There is still the glaring problem that his various books and seminars promote an heretical concept of the Millennium of Rev 20 which adopts the millenarian eschatology of Medieval Abbot Joachim de Fiore, whose works were condemned by the Church - most notably by St. Thomas Aquinas. I answer that, The state of the world may change in two ways. In one way, according to a change of law: and thus no other state will succeed this state of the New Law. Because the state of the New Law succeeded the state of the Old Law, as a more perfect law a less perfect one. Now no state of the present life can be more perfect that the state of the New Law: since nothing can approach nearer to the last end than that which is the immediate cause of our being brought to the last end. But the New Law does this: wherefore the Apostle says (Hebrews 10:19-22): "Having therefore, brethren, a confidence in the entering into the Holies by the blood of Christ, a new . . . way which He hath dedicated for us . . . let us draw near." Therefore no state of the present life can be more perfect than that of the New Law, since the nearer a thing is to the last end the more perfect it is. In another way the state of mankind may change according as man stands in relation to one and the same law more or less perfectly. And thus the state of the Old Law underwent frequent changes, since at times the laws were very well kept, and at other times were altogether unheeded. Thus, too, the state of the New Law is subject to change with regard to various places, times, and persons, according as the grace of the Holy Ghost dwells in man more or less perfectly. Nevertheless we are not to look forward to a state wherein man is to possess the grace of the Holy Ghost more perfectly than he has possessed it hitherto, especially the apostles who "received the firstfruits of the Spirit, i.e. sooner and more abundantly than others," as a gloss expounds on Romans 8:23. Reply to Objection 1. As Dionysius says (Eccl. Hier. v), there is a threefold state of mankind; the first was under the Old Law; the second is that of the New Law; the third will take place not in this life, but in heaven. But as the first state is figurative and imperfect in comparison with the state of the Gospel; so is the present state figurative and imperfect in comparison with the heavenly state, with the advent of which the present state will be done away as expressed in that very passage (1 Corinthians 13:12): "We see now through a glass in a dark manner; but then face to face." Reply to Objection 2. As Augustine says (Contra Faust. xix, 31), Montanus and Priscilla pretended that Our Lord's promise to give the Holy Ghost was fulfilled, not in the apostles, but in themselves. In like manner the Manicheans maintained that it was fulfilled in Manes whom they held to be the Paraclete. Hence none of the above received the Acts of the Apostles, where it is clearly shown that the aforesaid promise was fulfilled in the apostles: just as Our Lord promised them a second time (Acts 1:5): "You shall be baptized with the Holy Ghost, not many days hence": which we read as having been fulfilled in Acts 2. However, these foolish notions are refuted by the statement (John 7:39) that "as yet the Spirit was not given, because Jesus was not yet glorified"; from which we gather that the Holy Ghost was given as soon as Christ was glorified in His Resurrection and Ascension. Moreover, this puts out of court the senseless idea that the Holy Ghost is to be expected to come at some other time. Reply to Objection 3. The Old Law corresponded not only to the Father, but also to the Son: because Christ was foreshadowed in the Old Law. Hence Our Lord said (John 5:46): "If you did believe Moses, you would perhaps believe me also; for he wrote of Me." In like manner the New Law corresponds not only to Christ, but also to the Holy Ghost; according to Romans 8:2: "The Law of the Spirit of life in Christ Jesus," etc. Hence we are not to look forward to another law corresponding to the Holy Ghost. Reply to Objection 4. Since Christ said at the very outset of the preaching of the Gospel: "The kingdom of heaven is at hand" (Matthew 4:17), it is most absurd to say that the Gospel of Christ is not the Gospel of the kingdom. But the preaching of the Gospel of Christ may be understood in two ways. First, as denoting the spreading abroad of the knowledge of Christ: and thus the Gospel was preached throughout the world even at the time of the apostles, as Chrysostom states (Hom. lxxv in Matth.). And in this sense the words that follow--"and then shall the consummation come," refer to the destruction of Jerusalem, of which He was speaking literally. Secondly, the preaching of the Gospel may be understood as extending throughout the world and producing its full effect, so that, to wit, the Church would be founded in every nation. And in these sense, as Augustine writes to Hesychius (Epist. cxcix), the Gospel is not preached to the whole world yet, but, when it is, the consummation of the world will come. It is these secular forms of millenarianism which the Catechism most forcefully condemns. Fr. Iannuzzi and his followers attempt to evade the charge of millenarianism by equating it solely with the doctrine of ancient Chiliasm. This is simply untrue, since the secular forms of millenarianism are singled out for the greatest condemnation in the Catechism. Not whether or not there will be some odd, ethereal form of the Second Coming of Christ for an earthly millennial reign, and that by posing a "spiritual millennium", that the followers of Fr. Iannuzzi can escape the charge of millenarianism. Joachim de Fiore similarly posed an "Age of the Spirit" rather than an coming of a reign of Christ in the Flesh, and was condemned for this idea long ago. "The expectation of a wholly just world is by no means a product of technological thought. It is rooted, rather, Judaeo-Christian spirituality. Over against the despair that in all epochs present suffering and injustice occasioned, other cultures defended themselves by invoking such ideas as those of the eternal return or liberation in Nirvana. The contrasting idea of a definitive future salvation, while not exclusively restricted to the Judaeo-Christian sphere, received its most powerful and penetrating formulation there. The marked intra-worldly character which this idea assumed in the Old Testament led in early Christian times to the supplementing of the transcendent hope for the Kingdom of God by the notion of chiliasm: a thousand-year-long reign of Christ and those who are first to rise with him. The question of the earthly realisation of the promise which this notion suggested became a burning issue for Western Christianity through the work of Joaichim of Fiore - whom we met at the outset of this book. 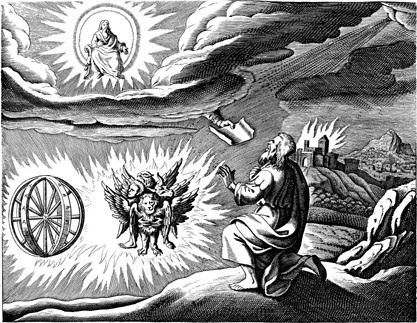 Joachim was convinced that God's plan for his human creatures could triumph only if it also succeeded on earth. It seemed to follow, then, that the time of the Church, as men have experienced it since the apostles, cannot be the definitive form of salvation. Joachim transformed the earlier periodization of history, which reflected the seven days of the week, into the idea of a multiplicand: history contains three times seven days. This he did by linking the venerable inherited schema with the doctrine of the Trinity. In this way, it appeared to be possible to calculate the third "week" of history, the time of the Holy Spirit. The immanence of this third age created the obligation to work towards it: something Joachim tried to do through his monastic foundations. The mingling of rational planning with suprarational goals, already observable in the Old Testament and in Judaism, now receives systematic form. It will soon slough off the spiritual dreams of Abbot Joachim and emerge into the political history of Europe, where it will take the form of the messianism through planning. Such planned messianism became ever more fascinating as the potential of planning waxed and religion waned, through continuing, inevitably, to form human motives and hopes. Hegel's logic of history and Marx's historical scheme are the end products of these beginnings. These messianic goals in which Marxism's fascination lies rest upon a faulty underlying synthesis of religion and reason. For planning is now directed to goals which are quite disproportionate to planning methods. And so both the goal and the planning suffer shipwreck. "As early as the patristic Church, steps were taken to eliminate chiliasm through an effort to preserve biblical tradition in its proper form. The Joachimist dispute filled the thirteenth century and, in part, the fourteenth also, ending with a renewed rejection of this particular form of hope for the future. The present-day theologies of liberation belong in this context. But just why did the Church reject that chiliasm which would allow one to take up the practical task of realizing on earth parousia-like conditions. The rejection of chiliasm meant that the Church repudiated the idea of a definitive intra-historical fulfilment, an inner, intrinsic perfectibility of history. On the contrary, it affirms the impossibility of an inner fulfilment of the world. This is, indeed, the common content shared by the various fragmentary pictures of the end of the world offered us by Scripture. The biblical representation of the End rejects the expectation of a definitive state of salvation within history. This position is also rationally correct, since the idea of a definitive intra-historical fulfilment fails to take into account the permanent openness of history and of human freedom, for which failure is always a possibility. In the last resort, such neo-chiliasm expresses a profound anthropological perversion. Human salvation is not to be expected from the moral dignity of man, from the deepest level of his moral personality. Rather we are to set our hopes for it on planning mechanisms, marginal to the authentically human though these may be. The values which sustain the world are turned upside down. A planned salvation would be the salvation proper to a concentration camp and so the end of humanity. Faith in Christ’s return is, therefore, in the first place the rejection of an intra-historical perfectibility of the world. Precisely in this negative aspect, it is also the preservation of humanity against those who would dehumanize man. Of course, if this thesis-which in itself is, in any case, rationally evident-were to stand alone, then the last word would be with a posture of resigned acquiescence. And so, over and above this preliminary statement, we must add that faith in Christ’s return is also the certitude that the world will, indeed come to its perfection, not through rational planning but through that indestructible love which triumphed in the risen Christ. Faith in Christ’s return is faith that, in the end, truth will judge and love will conquer. Naturally, this victory is won only when we take a step beyond history as we know it, a step further for which history itself yearns. The historical process can only be perfected beyond itself It is where this insight is accepted, where history is lived in the direction of its own self-transcendence, that in each and every case the process of history is thrown open to its fulfilment. Thereby, reason receives its due place, and the duty to act according to measure. Simultaneously, hope also enters into its proper realm, and is not exhausted on the laboratory counter. And every eye will see him." Dealing with the millenarian eschatology espoused by Fr. Iannuzzi remains the single greatest problem which Fr. Piscopo is still duty-bound to address. Explaining the existence of his various business interests and dealings in property is only a secondary issue, and one which I have only recently brought to light. The fact is that Fr. Iannuzzi is widely revered as the intellectual guru of the Divine Will Movement. His ministry is a serious problem which has long since spiralled out of control, and his writings now need to be properly condemned by the Church as millenarian heresy. The false idea that I am writing under a pseudonym, and various other strange allegations made against me are a bizarre attempt to discredit my work. The fact that I studied divinity at a secular institute cannot be used against me at all. I simply didn't have the time nor money to travel all the way to Maynooth to study theology. My degree is a Batchelor of Divinity (which includes the study of biblical languages), not Batchelor of Arts. The page posted on the website "Benedictine Oblates of the Divine Will" is just a very weird ad hominin attack against me to distract from my very serious findings on the destructive priestly ministry of Fr. Iannuzzi, which now looks like it could turn into one of the biggest scandals to hit the Catholic Church in several years.